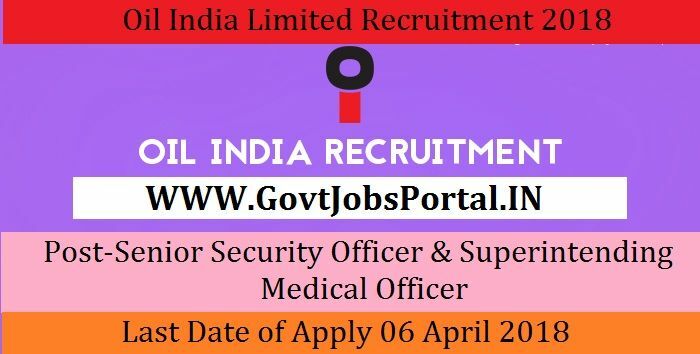 Oil India Limited is going to recruit fresher candidates in India for Senior Security Officer & Superintending Medical Officer Posts. So, those candidates who are willing to work with this organization they May apply for this post. Last Date of Apply 06-April-2018. Total numbers of vacancies are 09 Posts. Only those candidates are eligible who have passed Graduate in any discipline with experience in defence / para military / allied services in rank of Captain/ Asst. Commandant/ DSP or equivalent. Indian citizen having age in between 22 to 50 years can apply for this Oil India Limited Recruitment 2018. Educational Criteria: Only those candidates are eligible who have passed Graduate in any discipline with experience in defence / para military / allied services in rank of Captain/ Asst. Commandant/ DSP or equivalent. What is the Oil India Selection Process job?